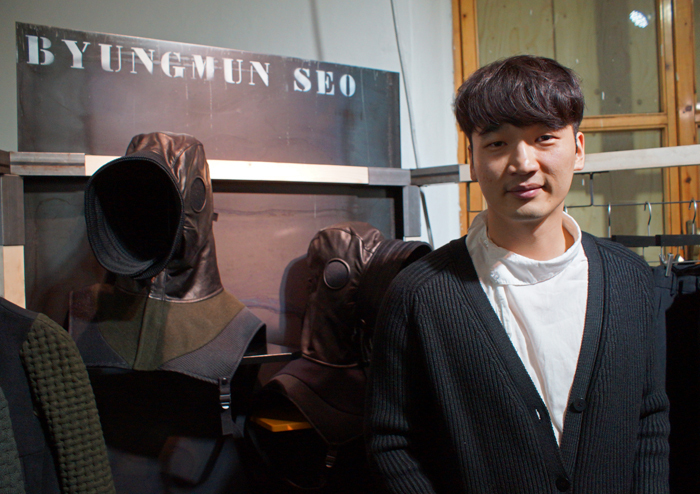 London-based South Korean fashion designer Byungmun Seo (below in pic) launched his brand in 2012. Being a finalist for emerging designer of the year 2012 at WSGN Global Fashion Awards and having showcased his collection at Victoria & Albert Museum, Byungmun Seo's creations exude unconventional constructions achieved by uncommon cuts, pushing the traditional boundaries of fashion and silhouette. Monochromatic, experimental, provocative, melancholic, uncommon, sensitive and constrasting despite the limited palette used, yet chic and distinctive.